Click the image above to watch the Midstates Group Employment Opportunities video. Our employees enjoy a comprehensive healthcare program offered by a trusted health insurance agency. Employees can have insurance premiums deducted from their pay before state and federal taxes are deducted from their paychecks reducing their taxable income and making insurance coverage even more affordable. Our dental plan offers 100% diagnostic and preventative services while our vision plan offers low-cost co-pays. To help our employees maintain a healthy work/life balance our employees enjoy six paid holidays each year and the ability to accrue additional time off each pay period. We provide access to short term and long term disability coverage. After 90 days of full-time employment employees become eligible for our 401-K Retirement Plan. We provide all employees working 30 or more hours per week free life insurance. Additional life insurance is also offered to all employees. Employees enjoy a 20% discount of retail items and printing at Quality Quick Print. Our employee mission is to be an employer of choice by providing our employees: a safe and respectful workplace, personal and professional growth opportunities through continual training, fair and competitive benefits and compensation, and a strong and progressive business for security and stability in their careers. The estimator will be responsible for providing accurate and precise quotes to the sales team. This would include taking into account all aspects of the job, customer expectations, and market pressures to formulate a profitable quote. The information gathered from the production floor will flow back into the theory and calculations used to estimate projects. This position functions as the supervisor in the Finishing and/or Web Press department. The production supervisor is responsible for all of the bindery or press operations for 2nd (4pm-12am) shift, the daily workflow schedule, quality control, equipment maintenance, training and crew development. The shift supervisor must be able to make clear decisions and carry them out in a quick and professional manner, and be able to direct multiple employees in order to be the most productive during the shift. This position is responsible for assisting in the growth and profitability of the mailing department through effective operation techniques, efficient management of time and resources, and working to develop new revenue. The mailing prep specialist needs to have a strong computer and technical background especially in database and spreadsheet software. This position functions as the general production support person at the QQP location. This role is a utility role supporting all functions necessary to complete projects for customer deadlines. The role also includes working with others in the company to provide the highest level of customer service. This position is responsible for operating the forklift on the production floor, maintaining the equipment they operate, the inventory they handle and the safety of themselves and their co-workers as well as pedestrians in their immediate work area. The job requires a person who is organized, knowledgeable and experienced in proper business practices and printing procedures. The Customer Service Manager must be able to make clear decisions and carry them out in a quick and professional manner. The role includes training, motivating and developing staff and implementing department policies and procedures. This individual will work with our Signs & Engraving team. They will have the opportunity to work on multiple pieces of digital equipment. They will also be asked to process finishing of sign projects that require good hand eye dexterity and attention to detail. They will be asked to do vinyl application, use basic power tools, paint, sewing, and general packaging of the projects they produce. Prepare rolls of paper for the presses. Keep the press ink fountains filled with ink. Check and maintain ph and conductivity of water and fill as needed. Fill out roll stock paperwork. Check oil level in printing units and folder, fill as needed. Perform preventive maintenance. Communicate with press operators and assistant press operators on the current job and how it is running. Work in a team environment with other employees to enhance customer service and operational efficiency. Follow department operational policies and procedures. Perform all other duties assigned and those that may be necessary to achieve company and departmental goals. Move pallets or skids to and from the work area. Stack signatures evenly on pallet/skid. Assist in changing paper rolls, washing press blankets, and performing preventative maintenance. Check overall quality of the signatures. Continually communicate with the press operator on the performance of the current job. Keep the area around the machines clean of unnecessary items. Follow department operational policies and procedures. 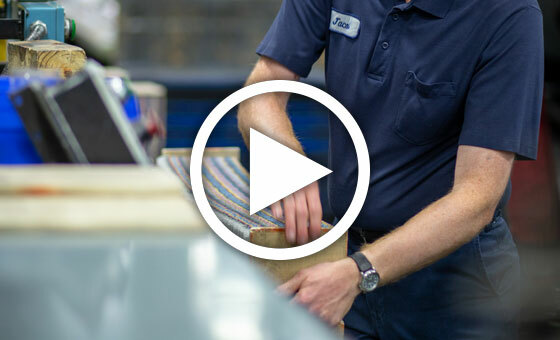 Duties include: feeding the stitcher pockets with the correct product and ensuring the operation runs smoothly; sorting product by zip codes and checking the quality of the stitched and addressed product; and stacking books evenly in a timely fashion on pallets or skids. The position also includes working with others in the company to provide the highest level of customer service. This position will be in charge of assisting the operator of the Akiyama Sheetfed press. A very high level of print quality is expected from each job printed, as well as, meeting and exceeding production standards. This position will assist in the process of setting up jobs and keeping the press running while the job is being completed.